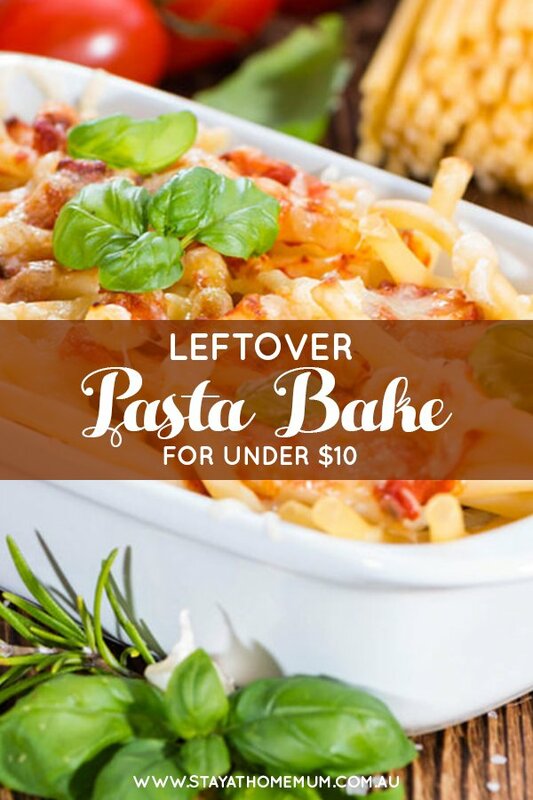 Leftover Pasta Bake For Under $10Don't Bin it - Use it Up and SAVE! Leftover Pasta Bake is a great recipe to make the night before a food shop. Get rid of all the leftovers and bits and pieces out of the fridge – and throw them into a pasta bake. Feel free to substitute any of the ingredients – it’s really up to what you have left! 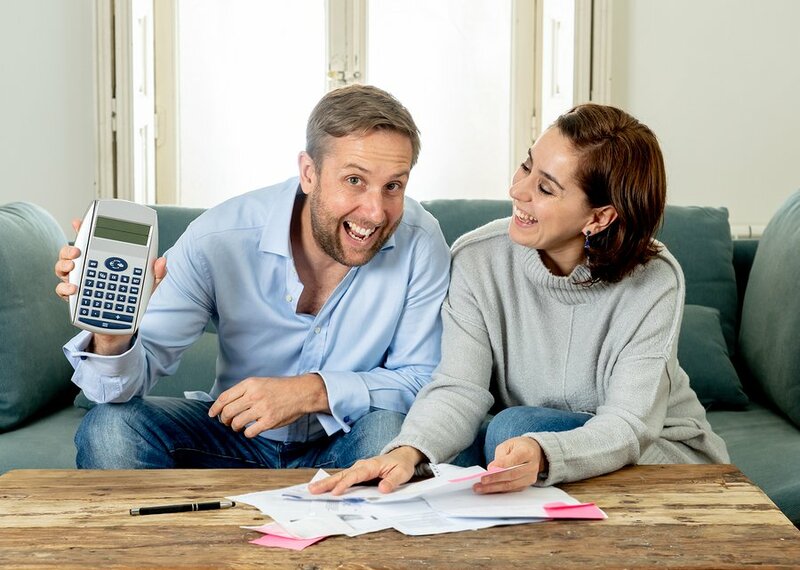 For the price estimates here we’ve used a large national supermarket, but it’s possible (and highly encouraged) for you to look around at your local farmers market, local butcher or at discount grocers. You’re likely to find many of these ingredients even cheaper there! Cook the pasta noodles according to the directions and set aside. In a microwave proof jug, melt the butter until bubbling. Add the flour and crushed stock cube and stir to make a roux. Add a little milk and use a whisk to beat until smooth. Add the milk and heat for a minute at a time in the microwave, giving it a good whisk in between until the mixture thickens. Add the cup of grated cheese and again whisk until smooth (microwave a further 30 seconds if needed). In a small bowl combine the chopped up leftover meats, tomatoes, mushrooms etc together with the pasta and pour into a an oven proof casserole dish. Pour over the cheese sauce. Add the extra cheese on top and bake in the oven for 20 minutes or until bubbling and golden on top.